Belfast’s Irish language cultural hub Cumann Chluain Ard has secured the last of its funding for its complete refurbishment. The committee said they are delighted with the support given by Belfast City Council through the Local Investment Fund (LIF). Caoimhín Ó Caitni, on behalf of the committee, said that the Chluain Ard’s longstanding commitment to the community has been key to securing the funding. Several funders have been instrumental in bringing the building up to standard including the Department for Culture, Arts and Leisure (DCAL) and Ciste Infheistíochta na Gaeilge. Séamas Ó Donnghaile, Chluain Ard Chairperson, said he was absolutely delighted with the latest funding news. Sinn Féin MLA and Ciste Board Member Rosie McCorley said: “I am truly proud of my involvement in this initiative. We have been central to developing and funding a wide range of facilities across the city and beyond. “I am particularly excited about the redevelopment of An Cumann Chluain Ard and the role of Ciste as the major funder. This institution, thanks to all its volunteer committee members and teachers, over the decades have been churning out fluent Irish speakers from all over the city. 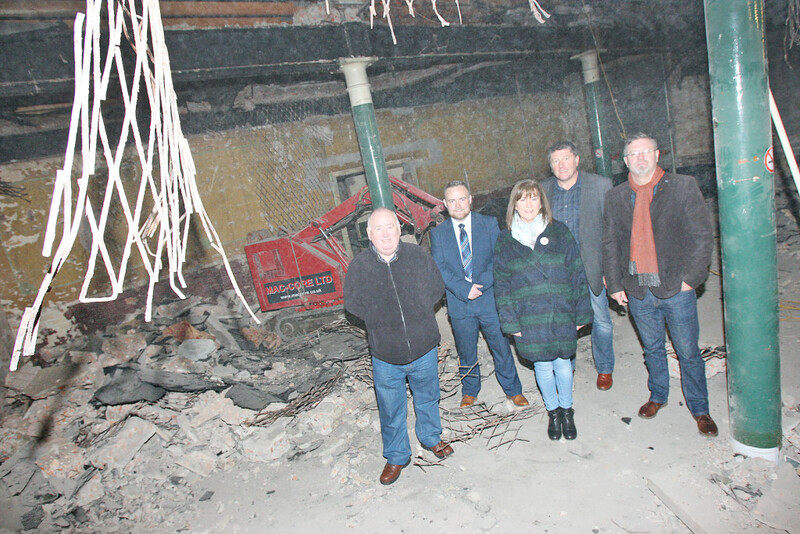 “This £750,000 redevelopment scheme will completely transform An Cumann Chluain Ard as we all know it. “Like all refurbishments of buildings of this age, this project has created serious challenges in securing the cocktail of resources required. Ciste are delighted that the contractors are on site and to contribute up to £360,000 towards this great project.